Do you ever wonder how many plants and herbs God has blessed us with that we could be using for health and healing? Maybe you have heard the old wives tales, “An apple a day keeps the doctor away”, or “Eat your carrots so you will have good eyesight”. There is some truth to both of those statements. Both apples and carrots are high in antioxidants which are beneficial in delaying some types of cell damage. Where did these sayings come from? Most were handed down from our parents, grandparents, and their parents before them. They came from generations of people before us who learned from their own experiences. They didn’t have scientific laboratories or emergency rooms to go to, so they taught themselves by trial and error. Some worked and others didn’t, but it would be to our benefit to learn as much as we can from them. 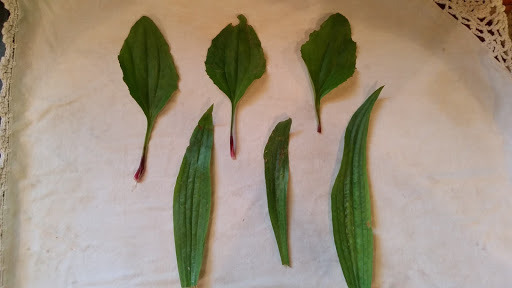 Plantain is one of those plants. It is common everywhere, in fact, it is probably all over your property. We used to pick these, fold the stem over the bud, and shoot them at our friends. You’ve probably done the same thing. The leaves come in two different shapes. Either plant (or a combination) will work. Plantain can be used for a number of ailments. 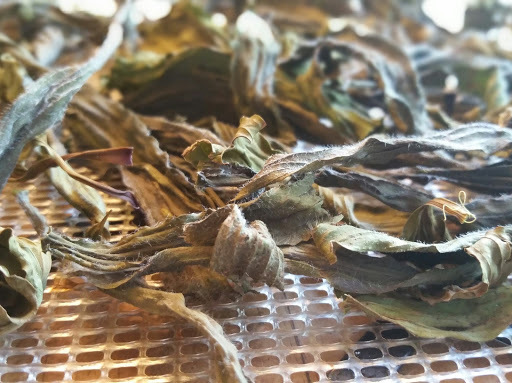 Teas made from the leaves of the plant are used for sore throats and coughs. The leaves can also be used for bee stings, insect bites, burns, and other skin irritations. Some scientific studies have shown plantain reduces cholesterol, reduces blood pressure, and in some countries is thought to help prevent cancer. 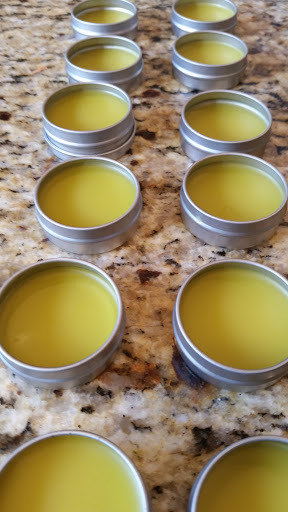 Today, I’m going to share a plantain salve that is excellent for bug bites, bee stings, scrapes, and minor skin irritations. The first time I made it I was skeptical that it would work. Not only does it work, it works almost immediately. Wash and thoroughly dry the plantain. I used the dehydrator for mine. 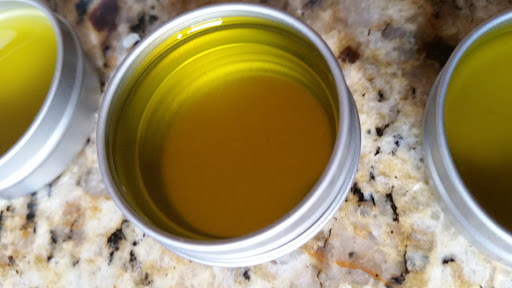 Pack into a jar and cover with the olive oil. 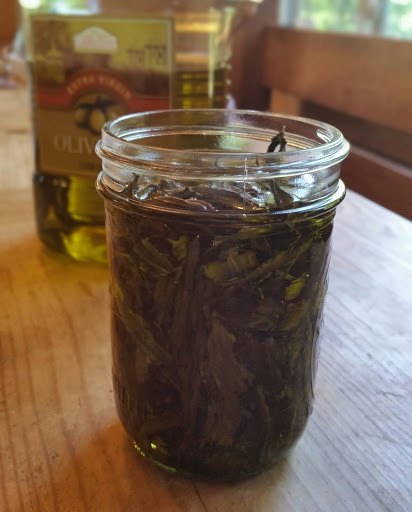 Place a cap on the jar and allow it to sit for 2 weeks. Yes, I doubled the recipe and it works just fine. I also let mine set for a few months because I forgot about it. It worked just fine. Using a fine mesh sieve, strain the plantain mixture into a measuring cup. Add the beeswax to a small saucepan. 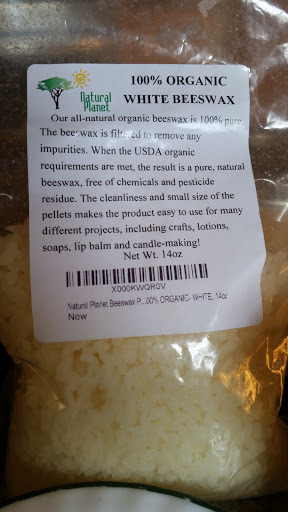 On low heat, stir until the beeswax is melted. Add the plantain infusion to the beeswax and stir until heated through. Pour the mixture into your container(s) of choice and allow to cool thoroughly before capping. I used small .25 oz containers because this will last a very long time. The mixture will be translucent and liquid when you first pour it into your containers. After just a few minutes, it will solidify. At this point, it is ready to cap and use. Try it! Let me know what you think of it.